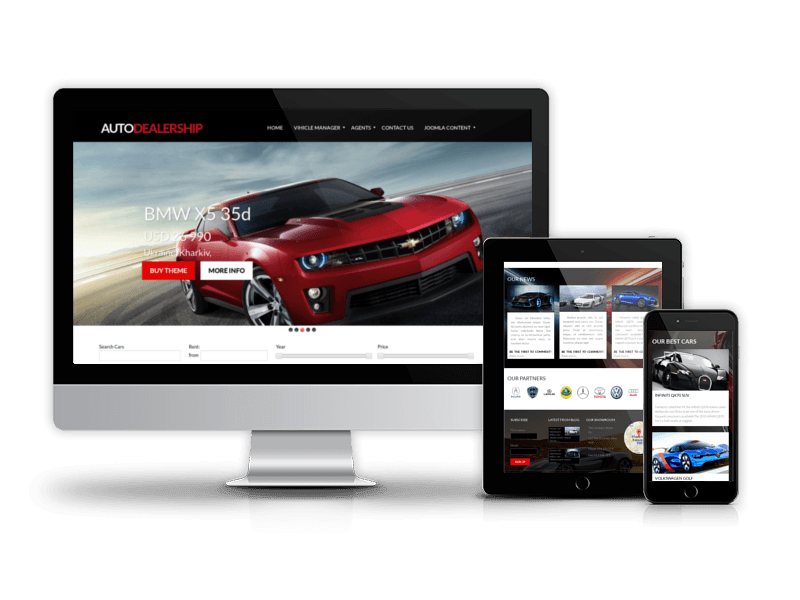 Auto Dealership is new responsive automotive car dealership website template built on latest Joomla 3.8.x and remarkable Joomla extension for car's website management - Vehicle Manager. 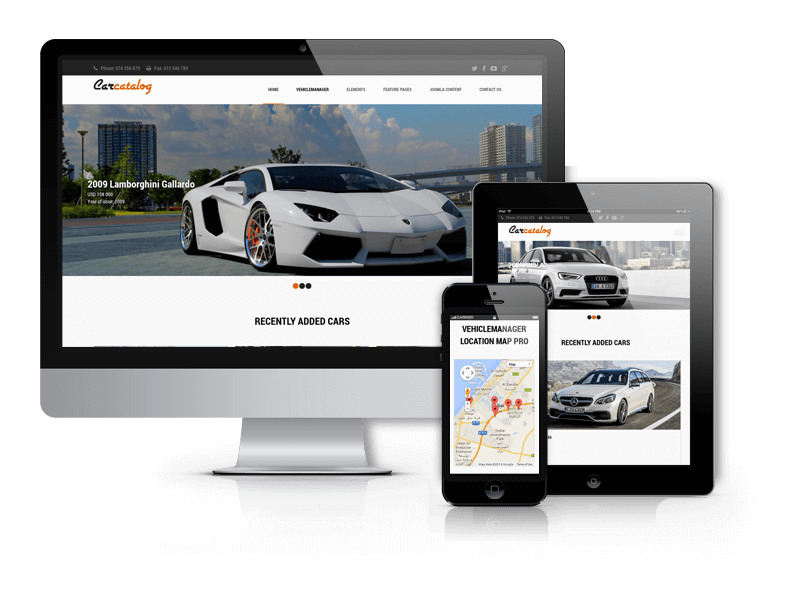 Apart from fantastic look and feel this premium automotive Joomla template includes all necessary features to build professional car dealership website. 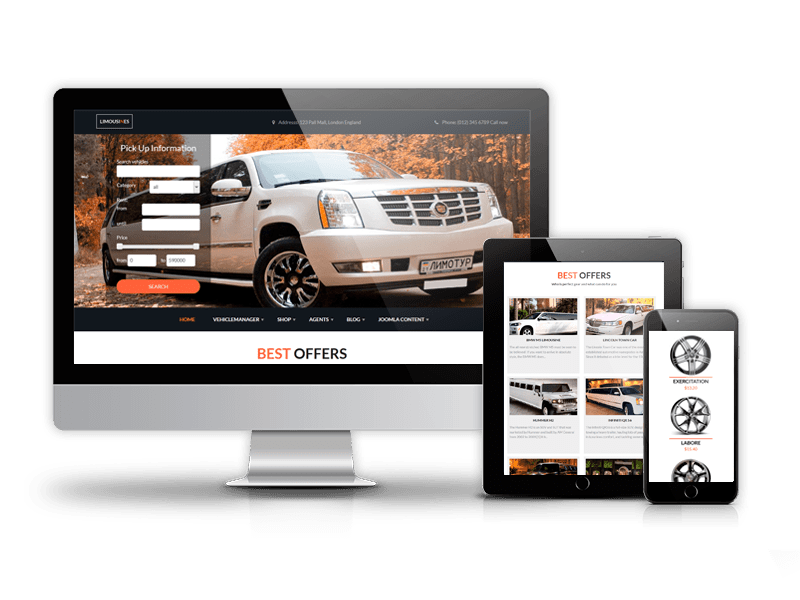 For instance in Auto Dealership Joomla template you will find advanced options for car rental and car selling, variety of pre-designed layouts, build-in booking form with calendar, powerful management options from Frontend and Backend, options for monetizing and promotion and much more. Read more about Vehicle Manager Pro. From Blank Joomla template Auto Dealership got responsive design, integration of Google fonts and Font Awesome icons, RTL style, cross-browser compatibility and latest techniques in CSS and jQuery. Furthermore you will be able to change a myriad of exciting features like body color and pattern, upload logo and change its width/height, change body links, typography, insert social links, copyright, tracking Google Code and more. Auto Dealership Joomla template comes with Quickstart package that includes such additional components as Vehicle Manager, Simple Membership, Content Construction Kit for Joomla OS CCk and also modules: VM Featured Pro, VM Location Map Pro, VM Search Pro, SM User's Profile, SM Login Pro, OS Touch Slider. They comes in package, so you don't have to purchase them separately, that saves you a lot. Also handy method of installation of Quickstart package allows you to install ready car dealership website in minutes, like on demo (except images, they are only for demo purposes). 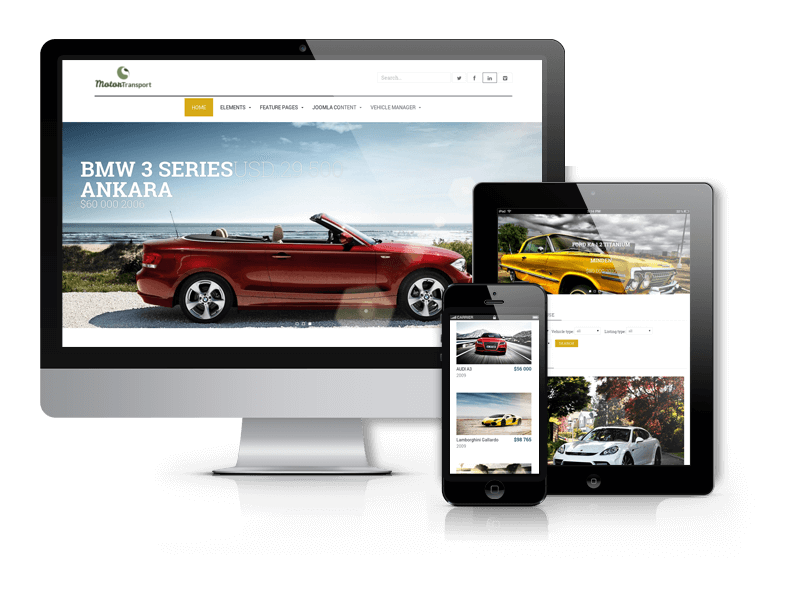 This premium Joomla template can be easily used for car dealership, rental service, car rental management, car dealership websites, vehicle listing portals and other related automotive websites. So use it to create a best automobile website. Also you can choose our other best car dealer Joomla templates Car & Vehicle Templates. Due to Joomla Blank template, Auto Dealership comes with a wealth of module positions to place your content exactly where you want it. Auto Dealership Joomla template fully compatible with all browsers: Chrome, Firefox, Safari, Opera and Internet Explorer 9+. 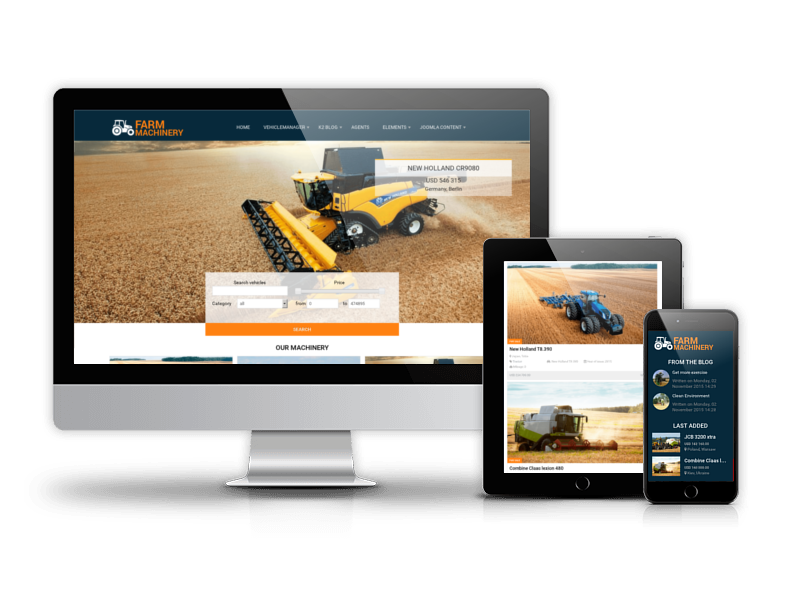 If you need to create a vehicle website, check out our best car dealer Joomla templates. 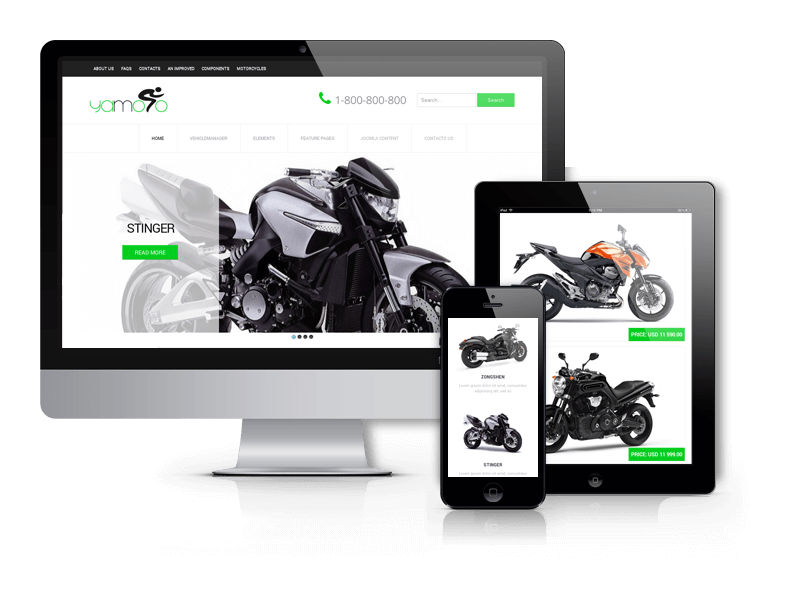 These Vehicle themes are perfect for showcasing a range of different vehicles, including trucks, boats, bike, motorcycles, electric bike, buses and cars, and they come with useful features like responsive layouts, support for Google Fonts, cross-browser compatibility, Vehicle Manager Software, Bootstrap based designs and also options for customization. There are ability to display vehicles, search (default, advanced, full, search by map), show featured vehicles (default, list), display vehicles on the map and more. In Vehicle Manager Software there are Vehicle Manager Image Touch Slider and other Joomla extensions for the vehicle website templates. 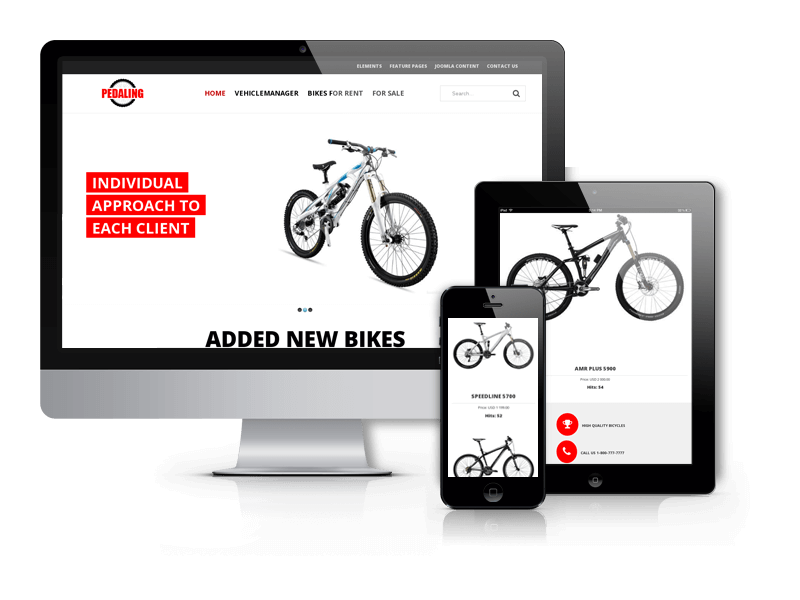 Among our cars templates you will find a good collection of templates for two-wheeled vehicles: bike website template, motorcycle website template, bicycle website template. 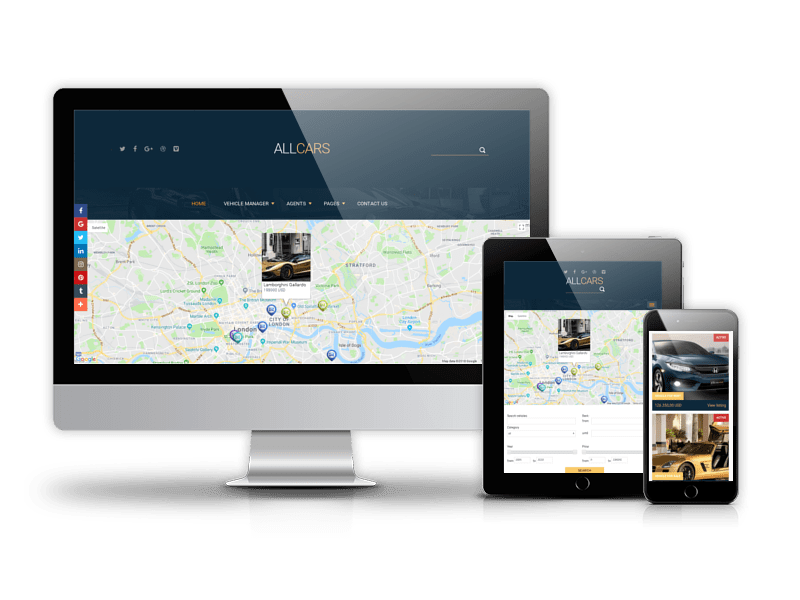 Also you will find templates for car showroom website template, airline website template, private jet website templates and car joomla template for car dealers and other car companies that work in similar way. Each joomla vehicle template has an agent user profile, where are all the cars of this agent are represented. 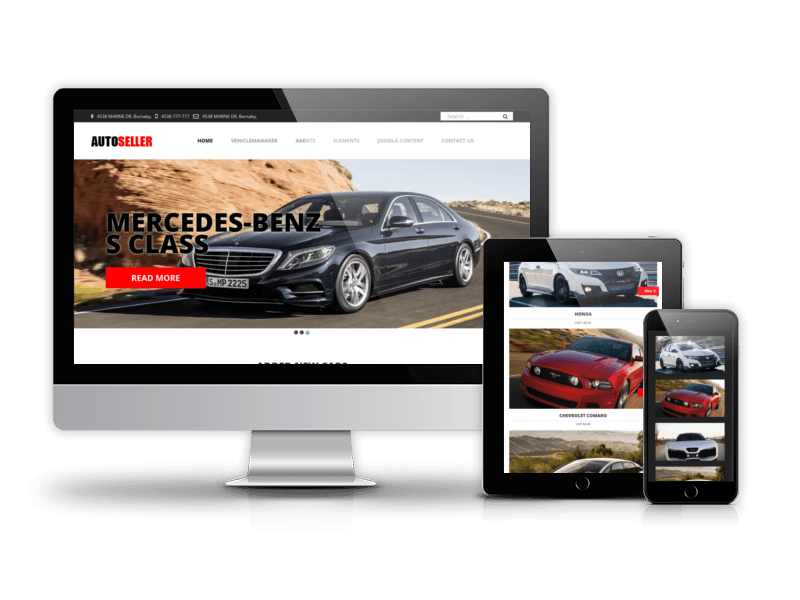 These automotive website templates fit for websites offering car rental and car sales, car dealers and car dealership websites, car portals. All car dealership website templates have Quickstart package which allow to get ready vehicle website in few minutes. 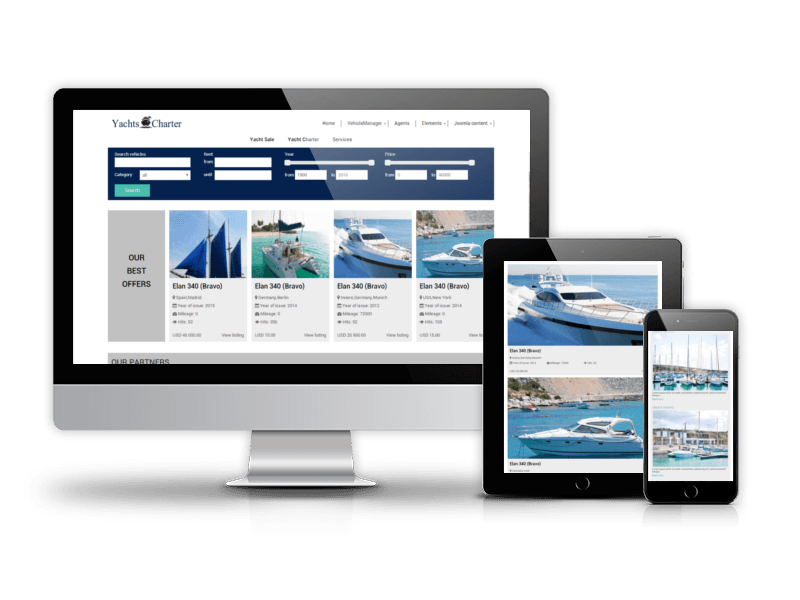 By installing any of our cars website templates, you will get a website exactly like a demo version. 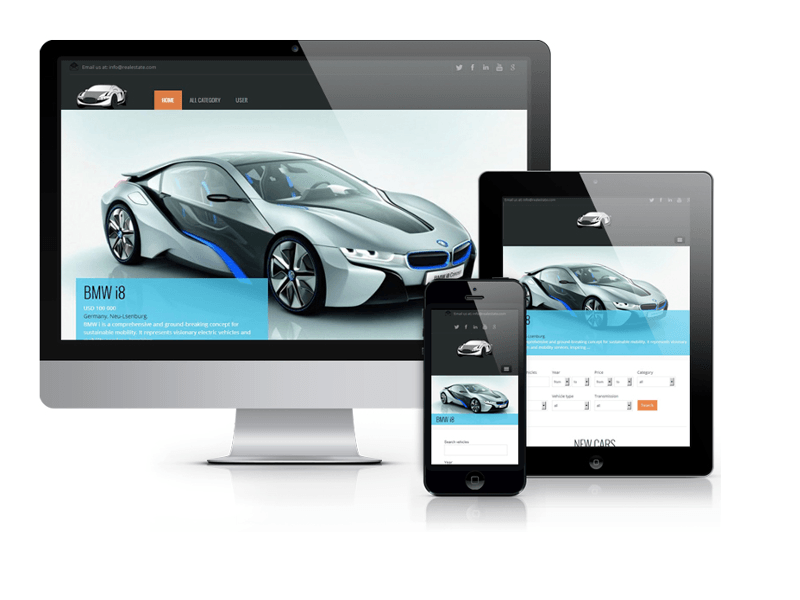 No matter you have experience in creating websites or not we offer cars web templates and cars templates for everyone! 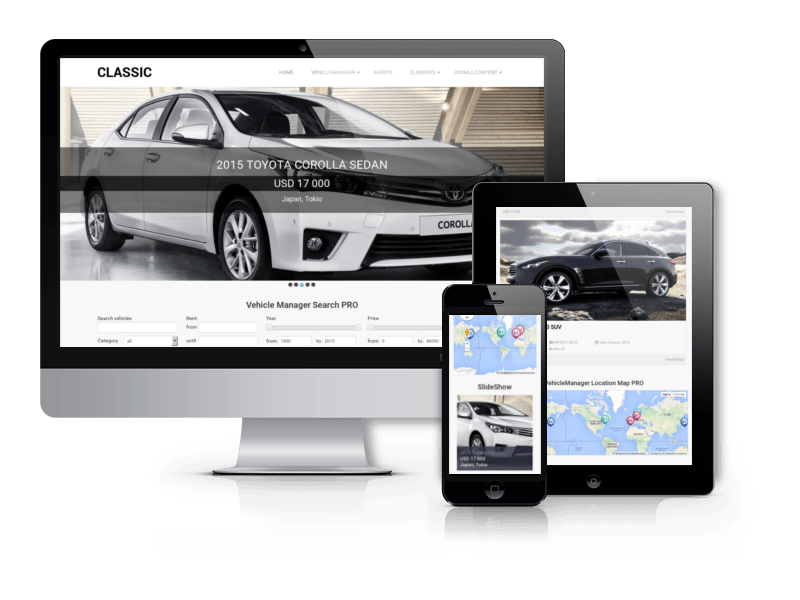 Choose one of responsive car dealership website template or, if you can't choose, grab them all in OrdaSoft templates and extension clubs. 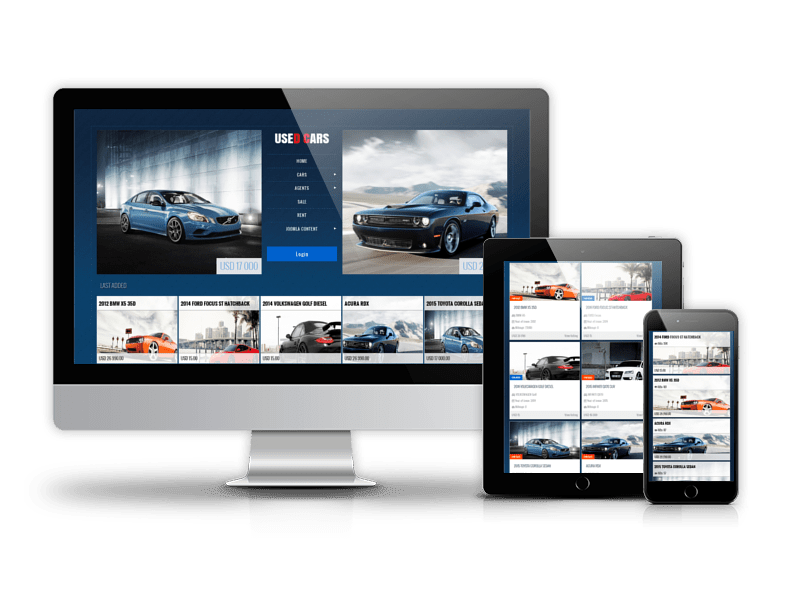 Do you want to create an awesome car website with our help? Use our service Ready Car Dealer Website.